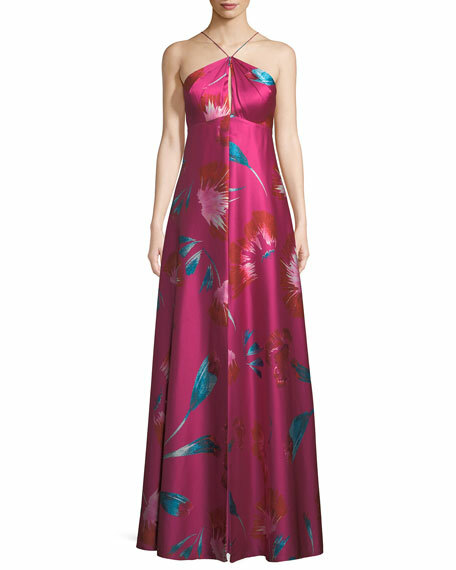 Aidan Mattox evening gown in macro floral-print charmeuse. Approx. 46" down center back. 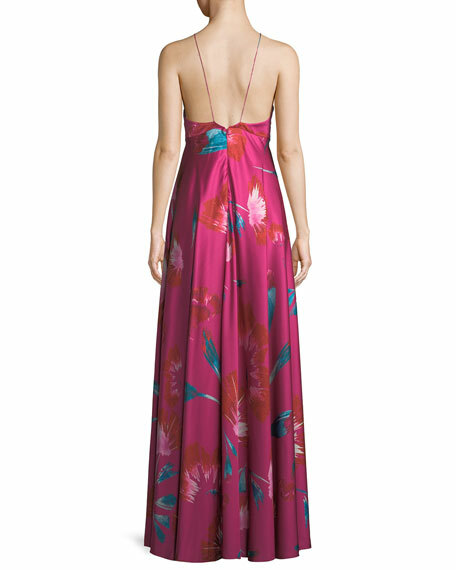 Halter neckline; front keyhole cutout. For in-store inquiries, use sku #2494936.